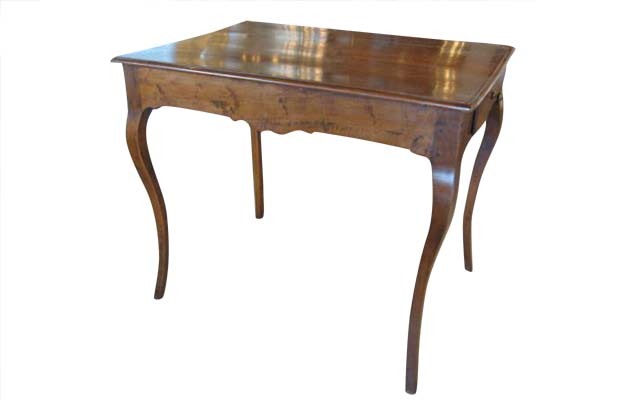 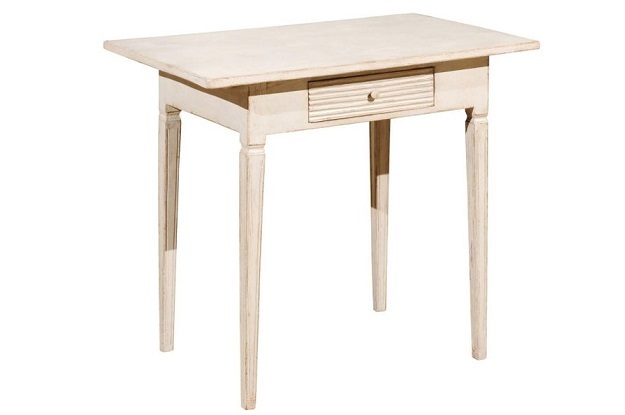 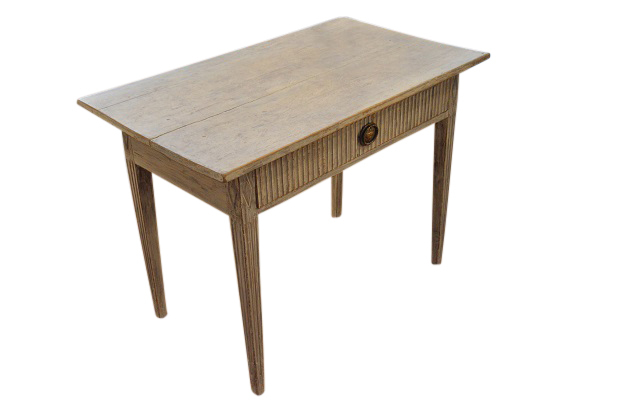 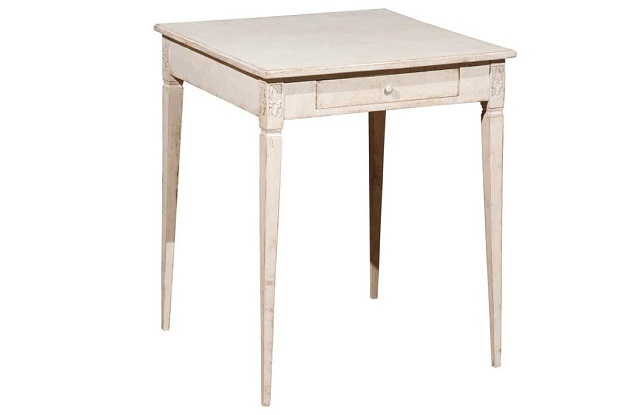 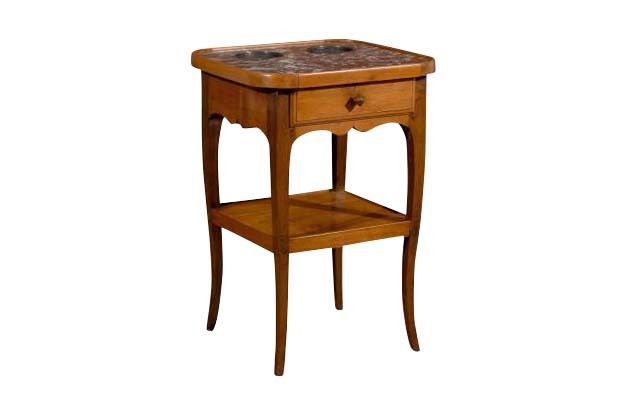 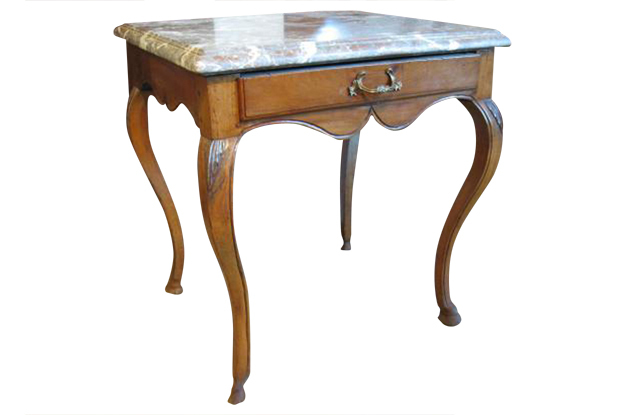 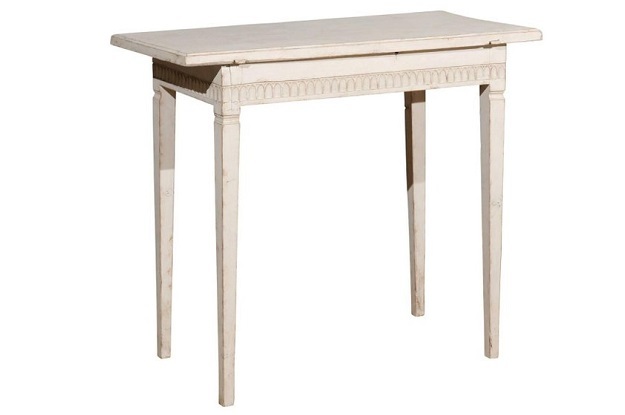 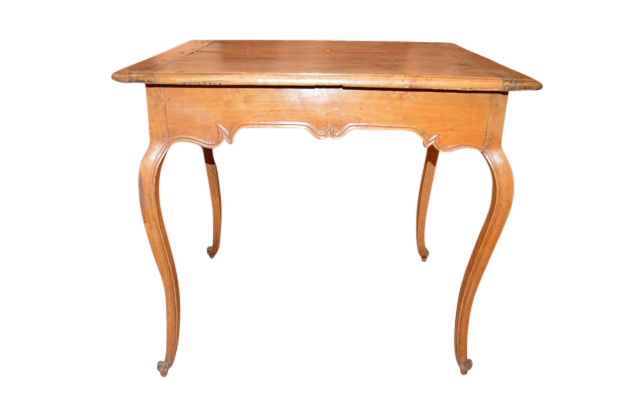 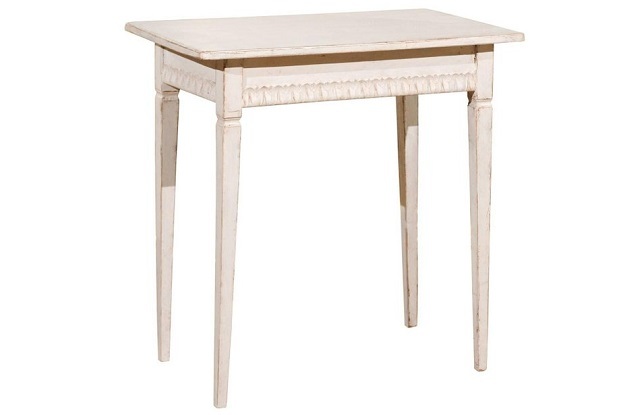 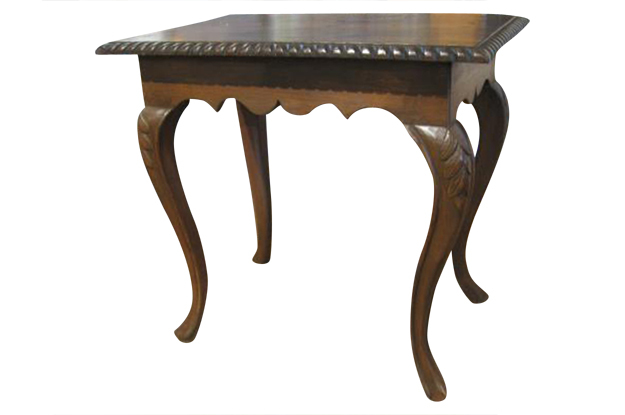 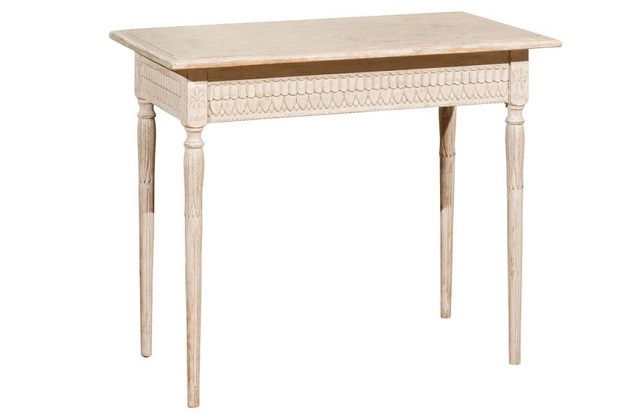 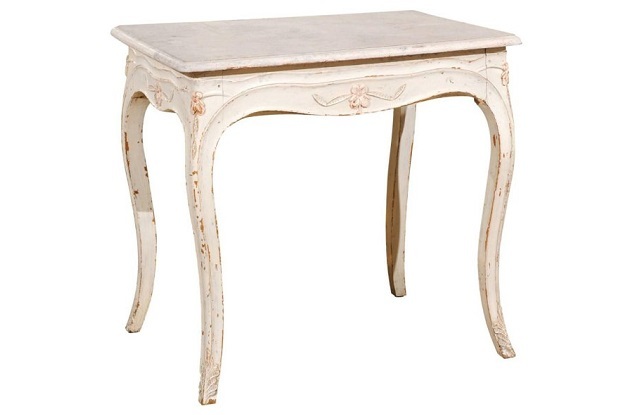 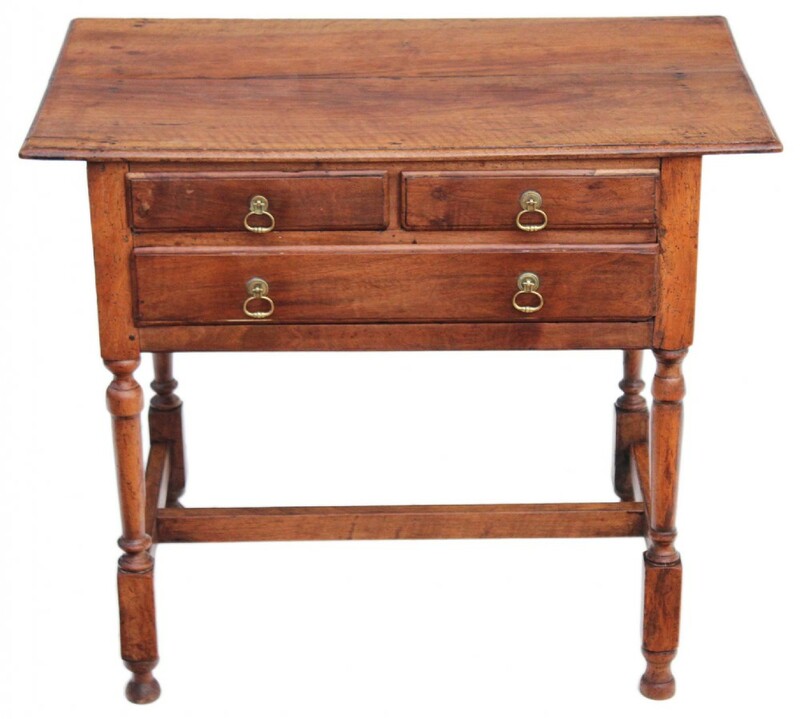 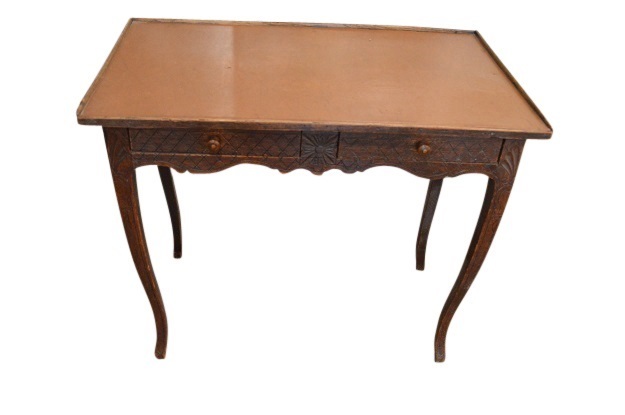 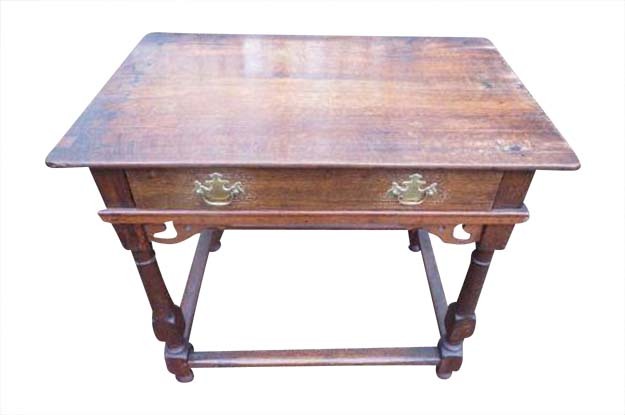 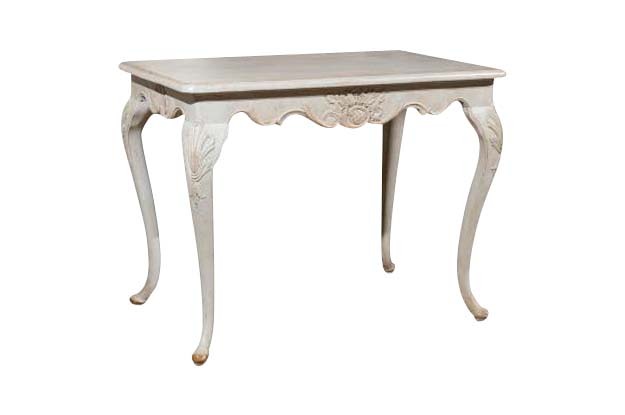 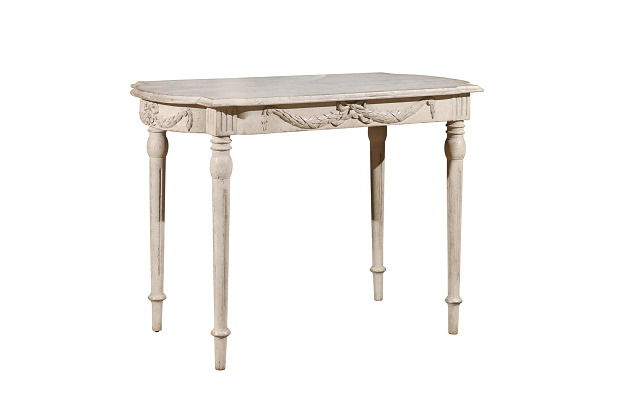 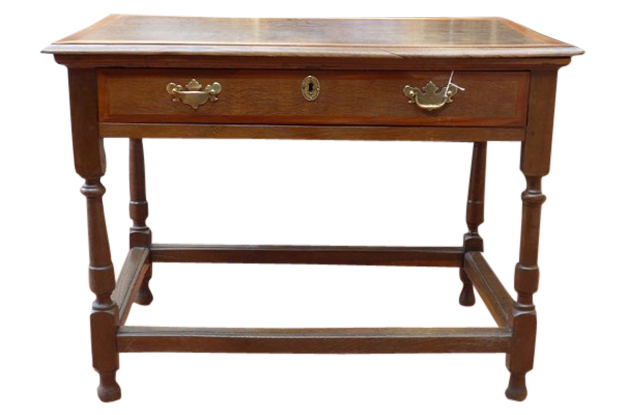 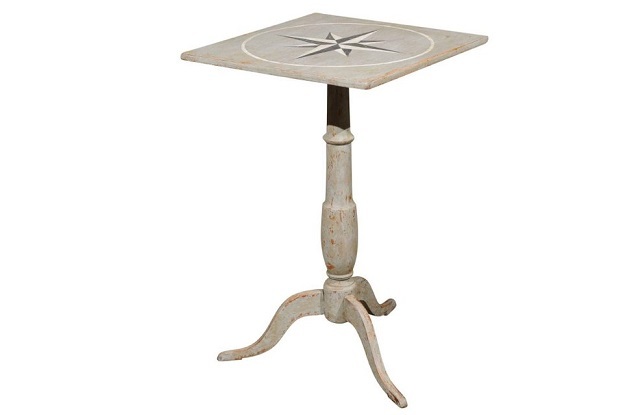 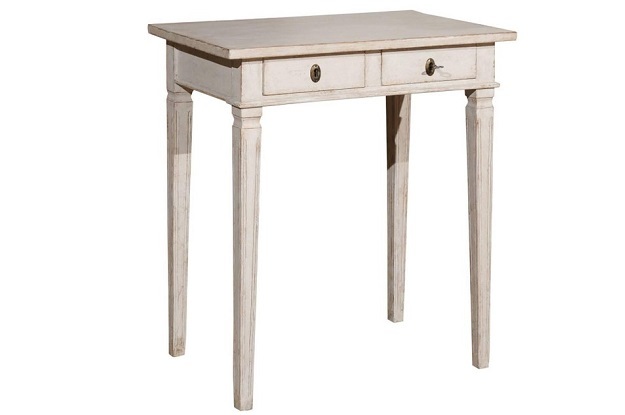 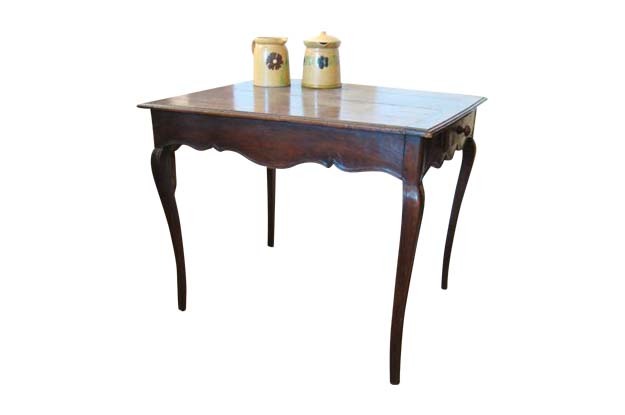 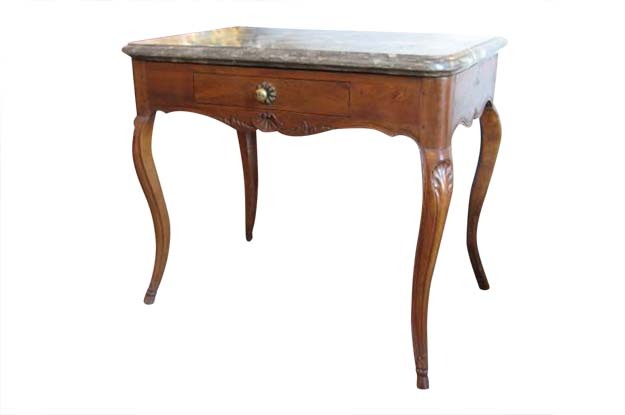 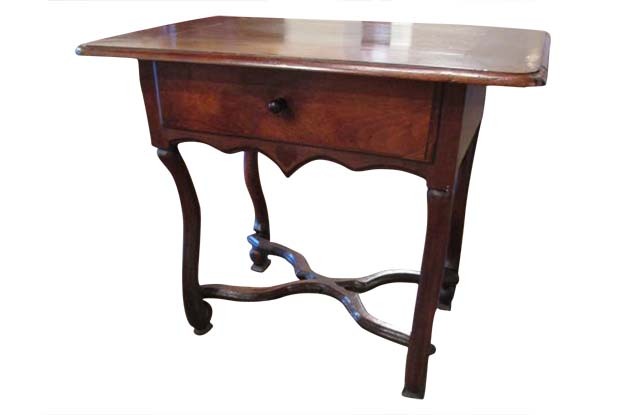 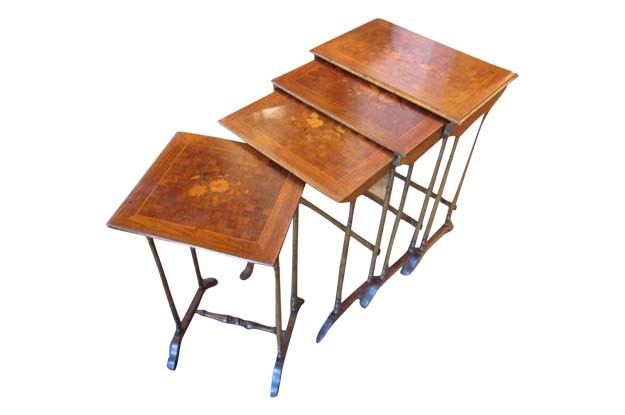 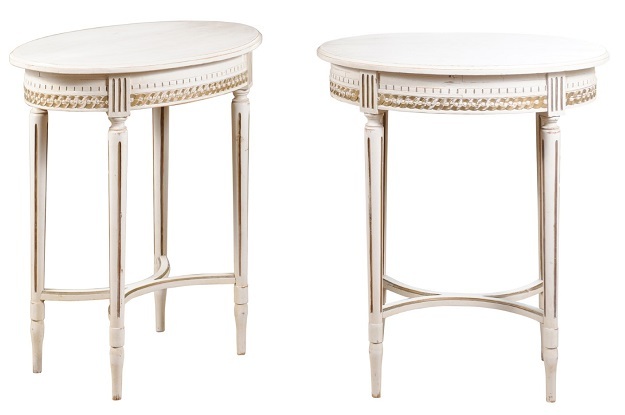 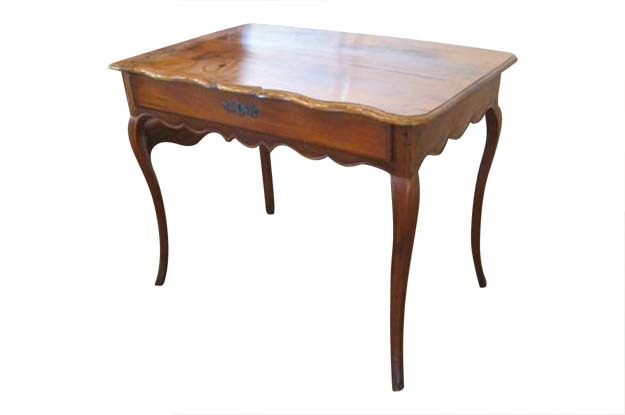 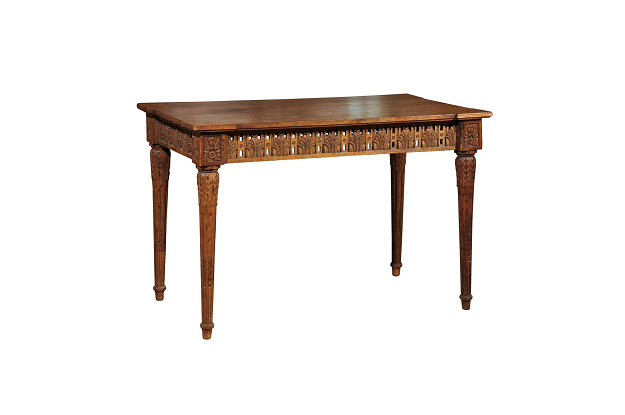 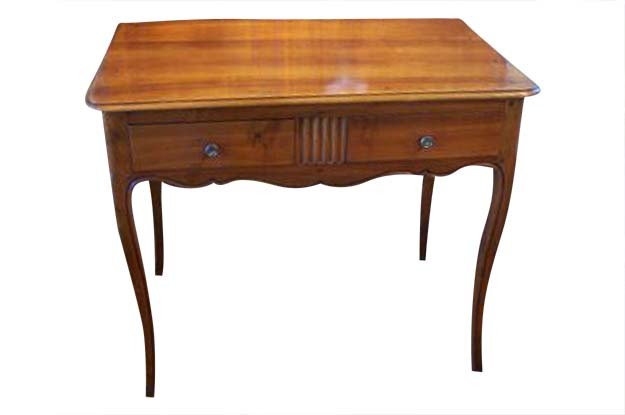 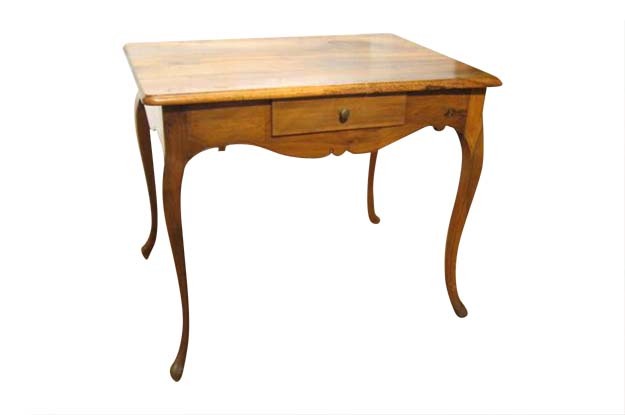 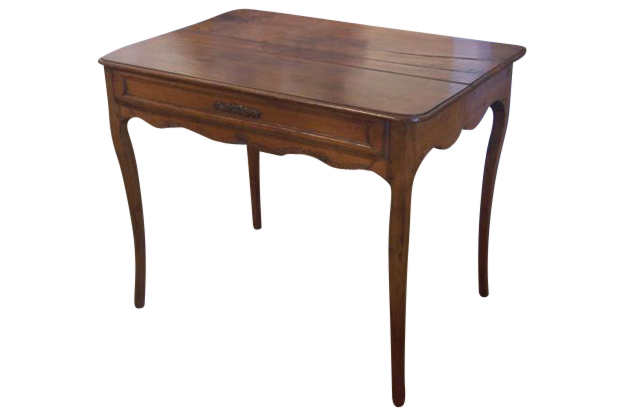 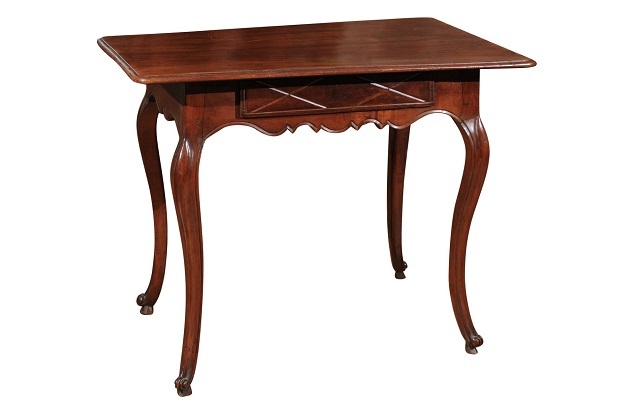 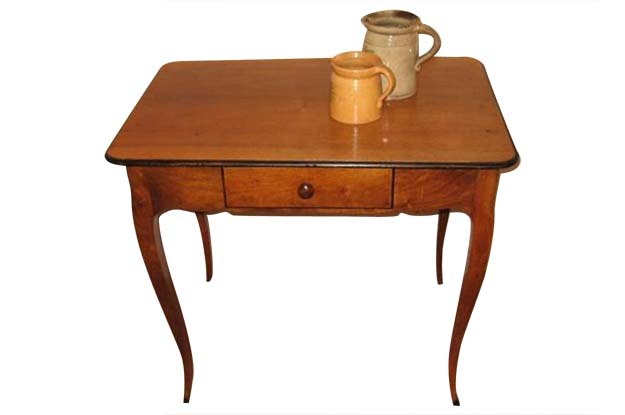 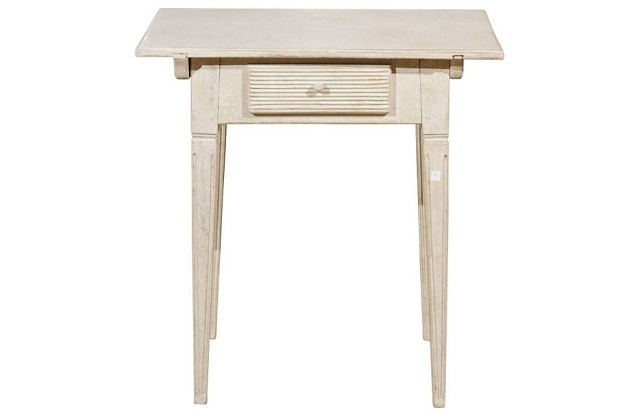 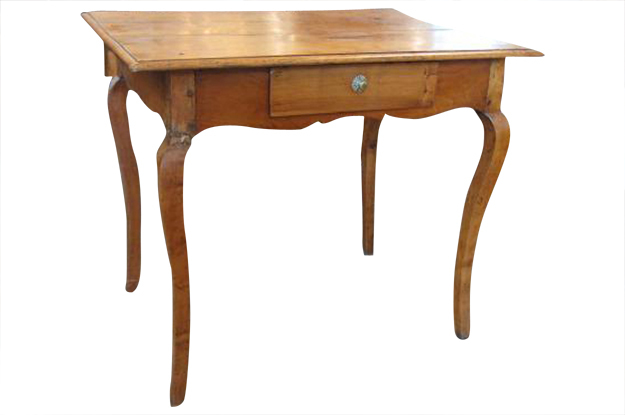 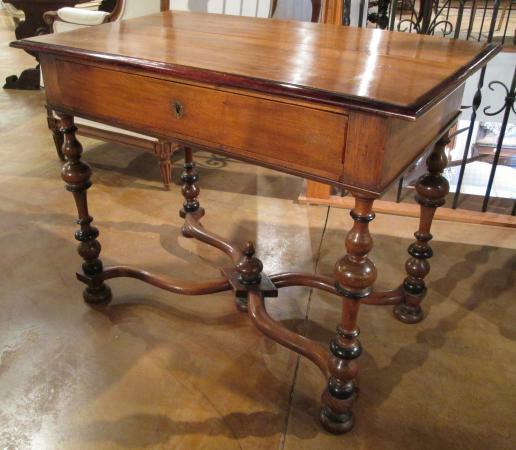 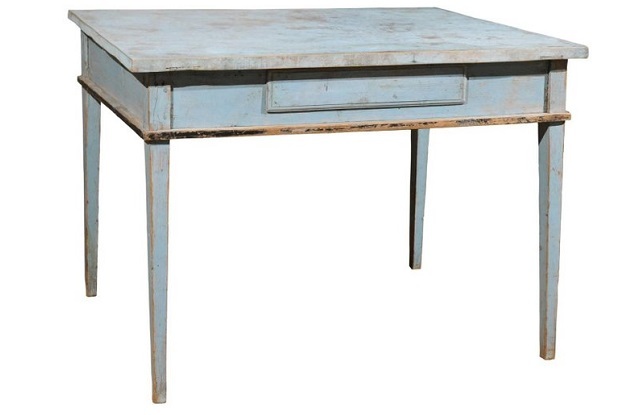 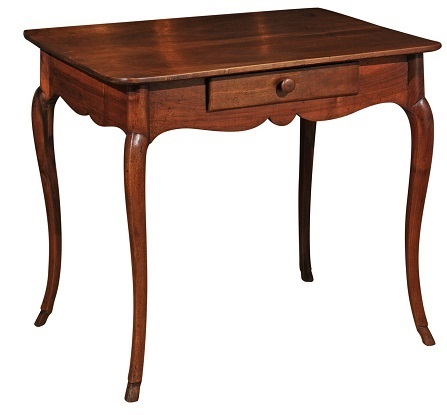 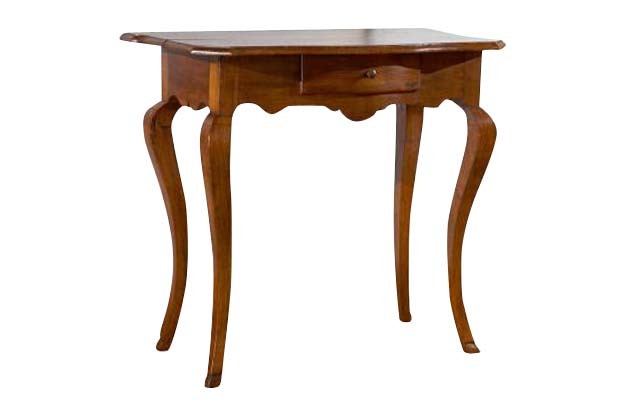 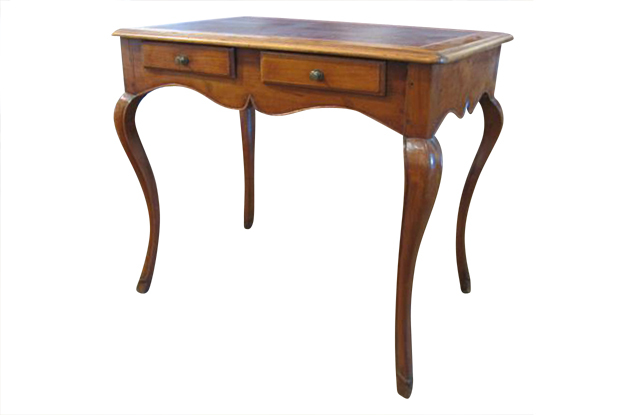 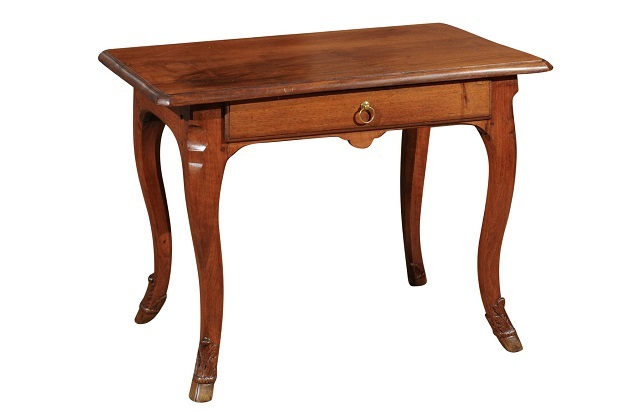 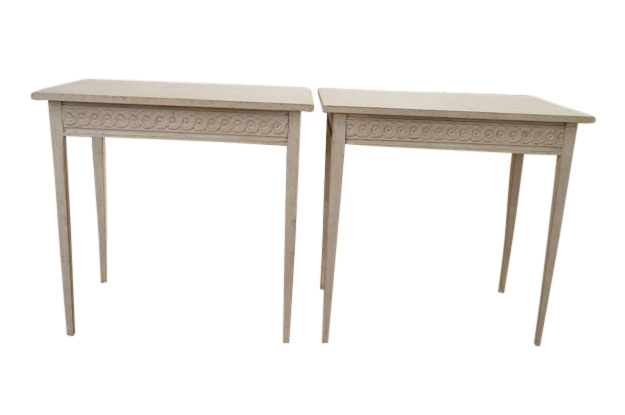 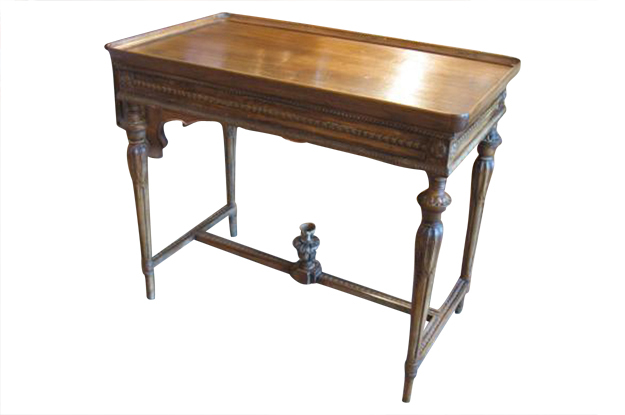 Swedish Freestanding Writing Table with a Single Drawer. 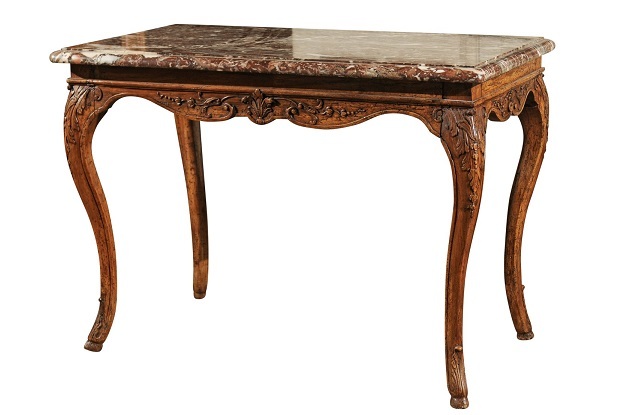 Provenance: Made for Queen Alexandrines (1879-1952), Signed with Royal Monogram and Inventory Number. 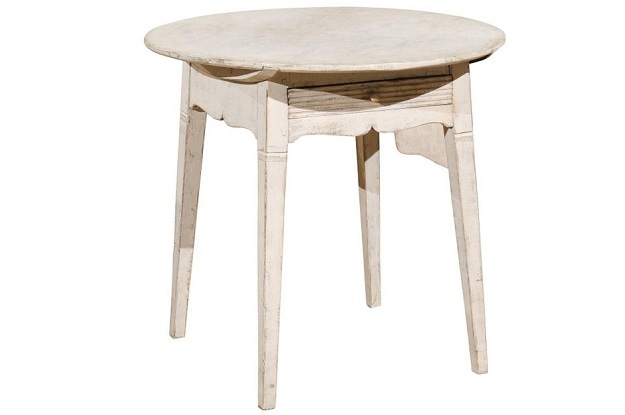 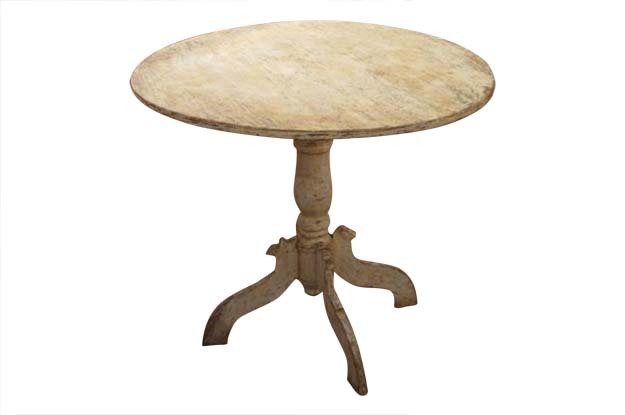 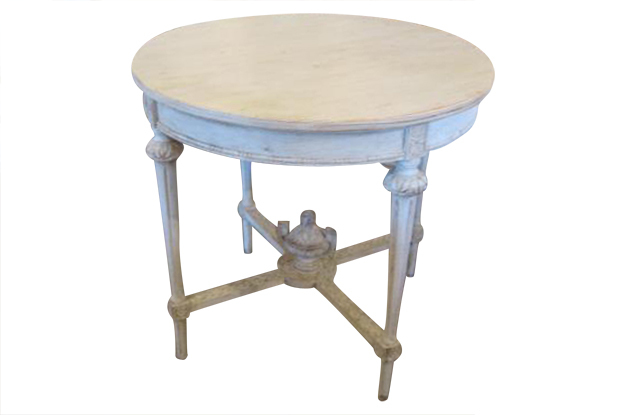 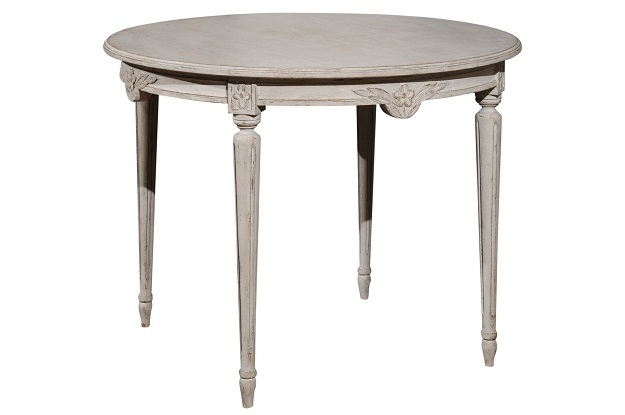 Swedish 19th Century Painted Oval Table, Circa 1880. 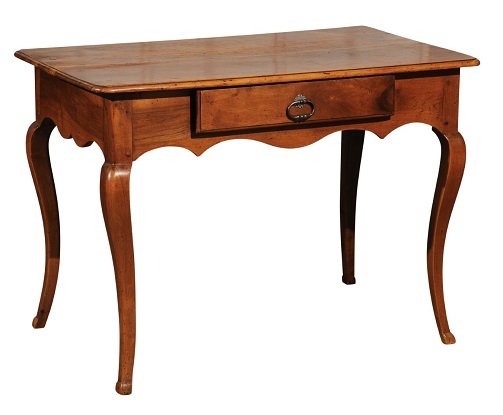 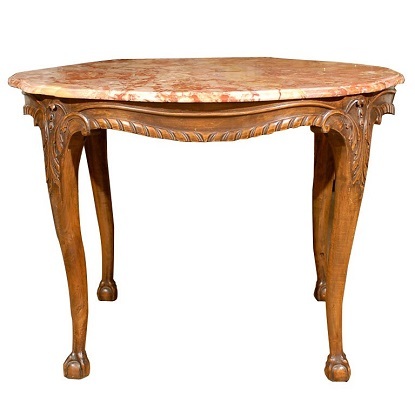 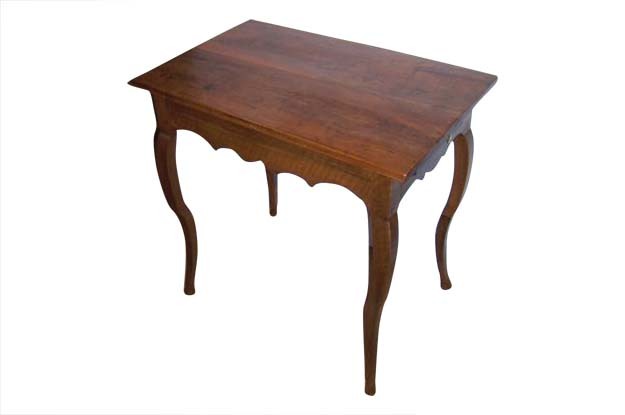 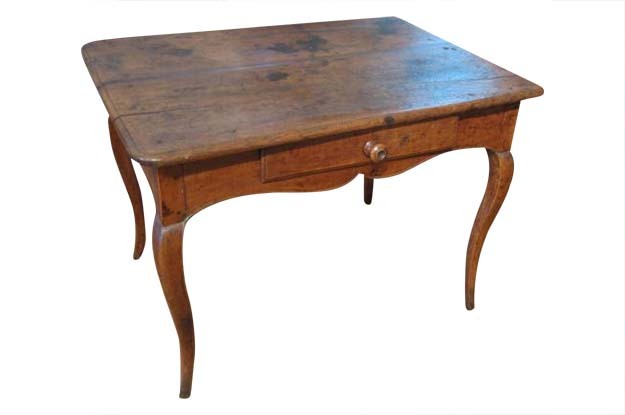 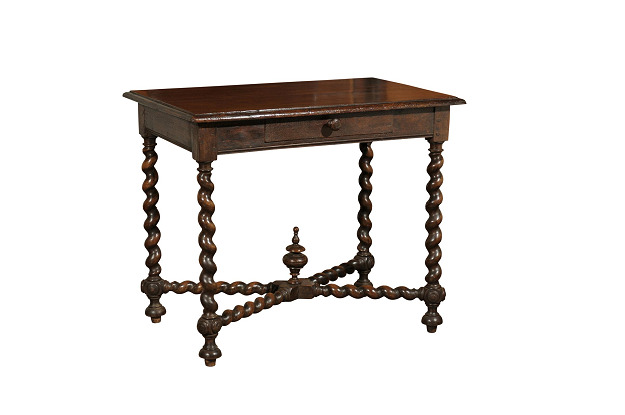 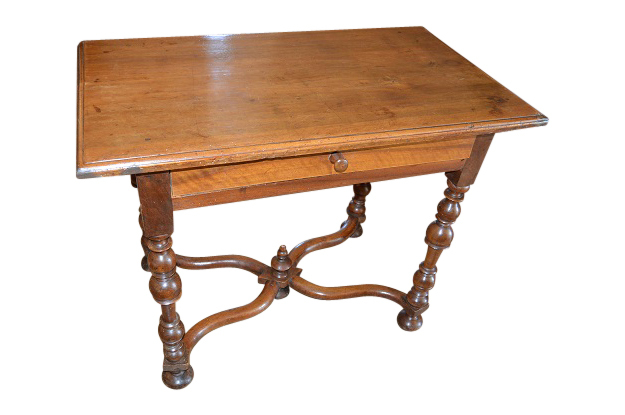 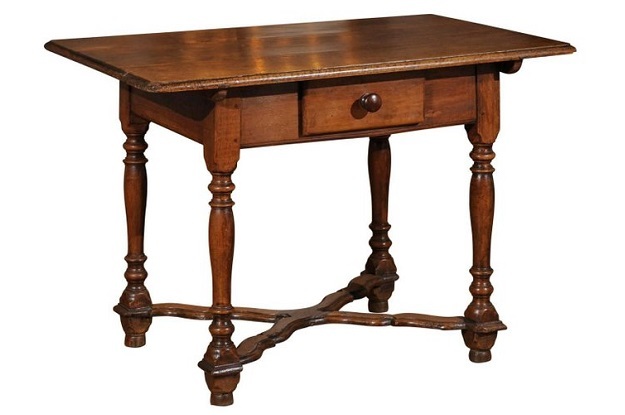 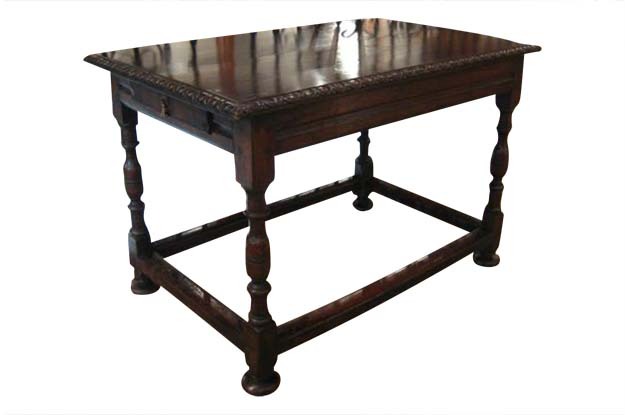 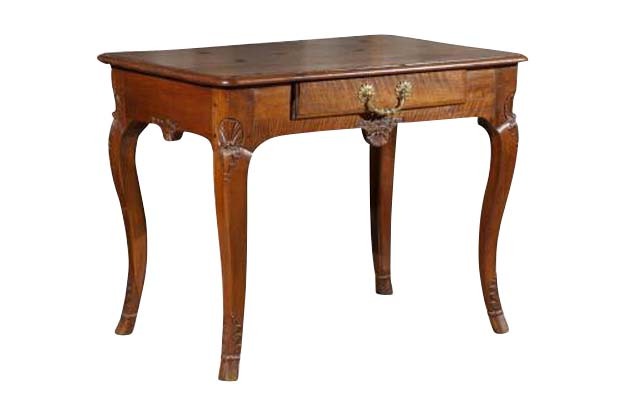 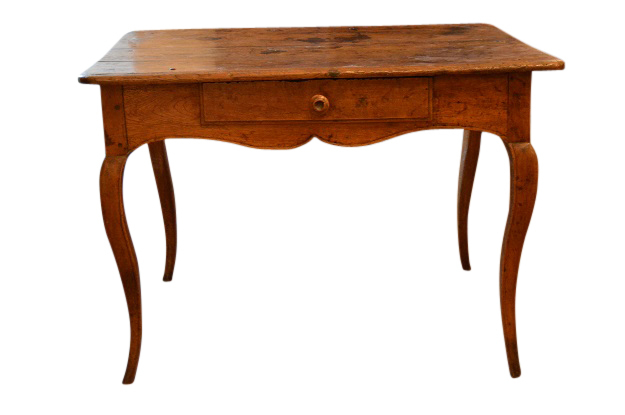 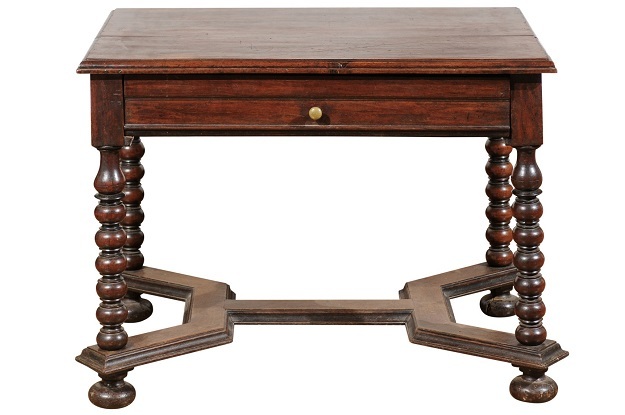 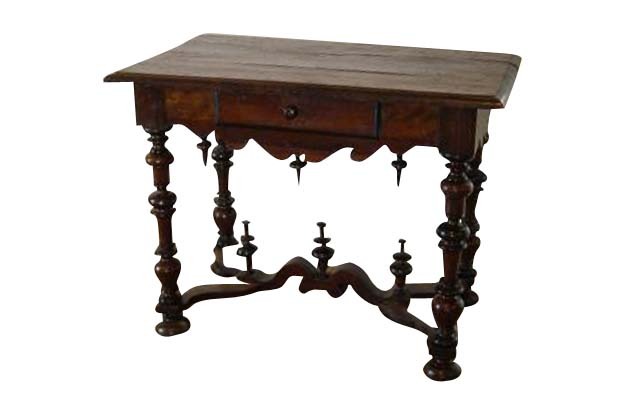 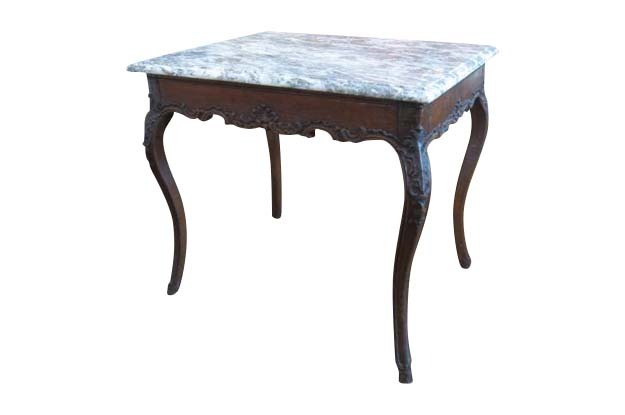 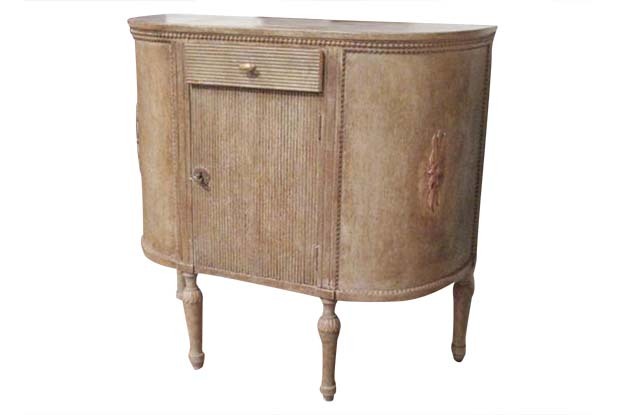 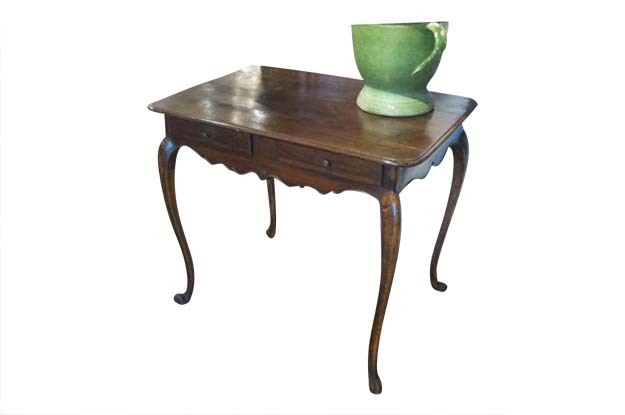 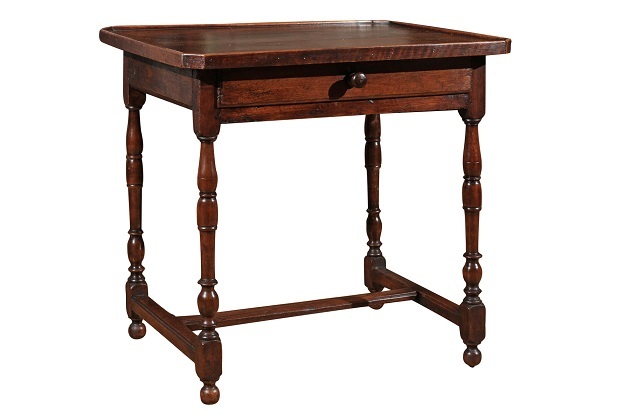 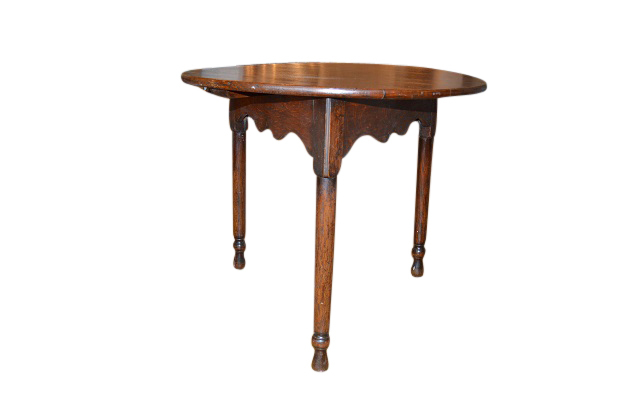 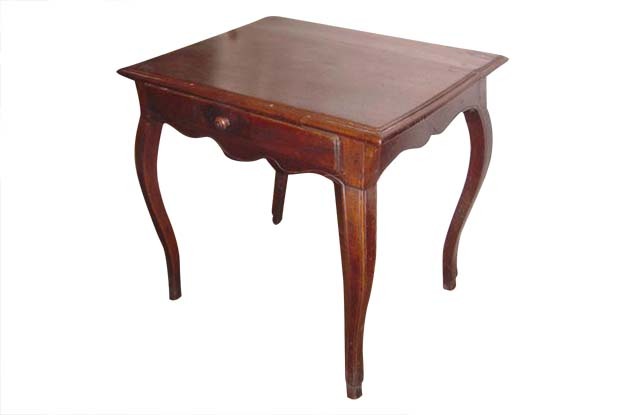 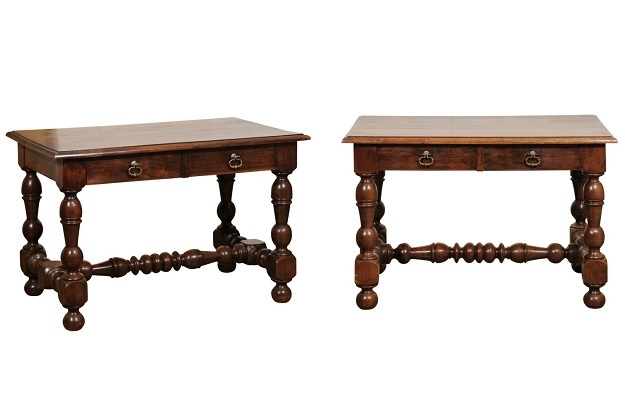 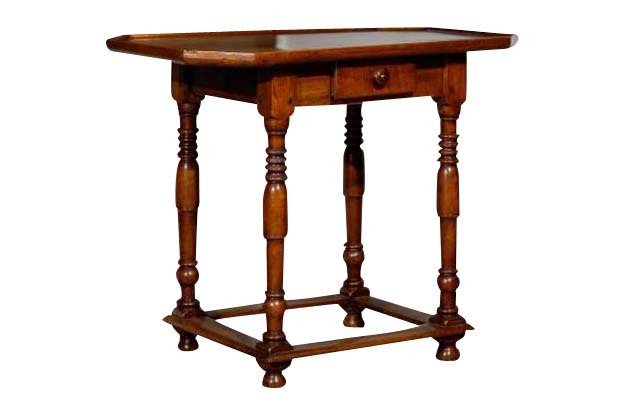 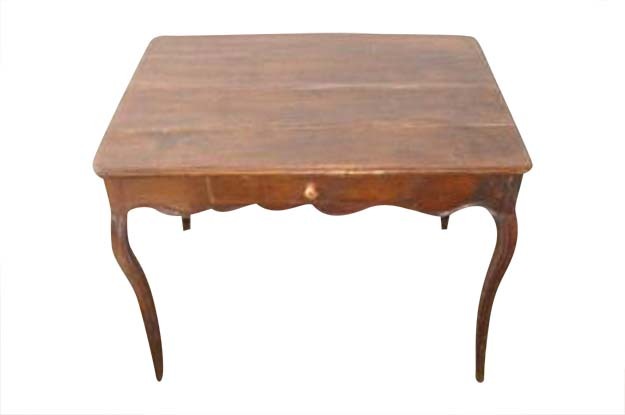 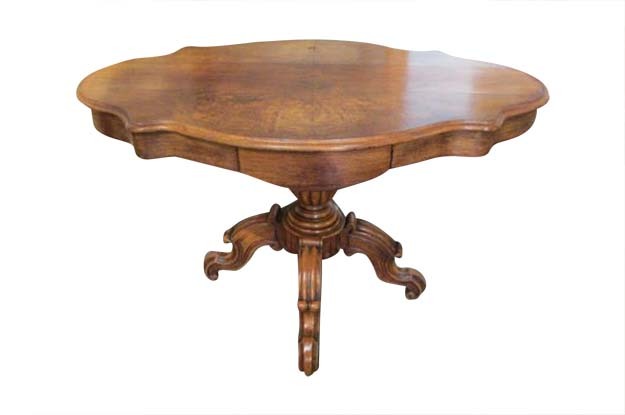 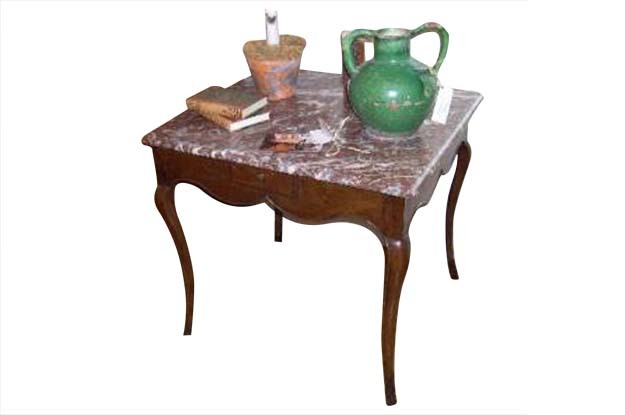 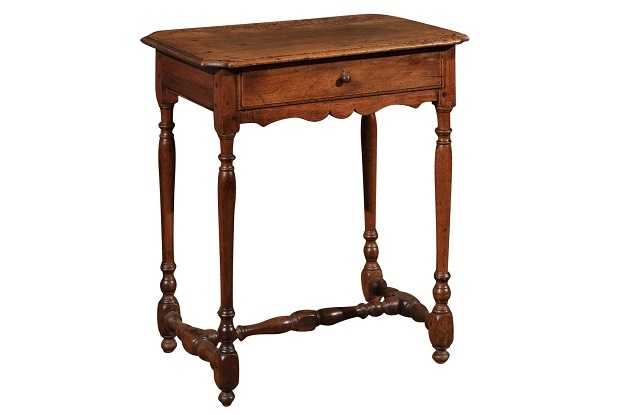 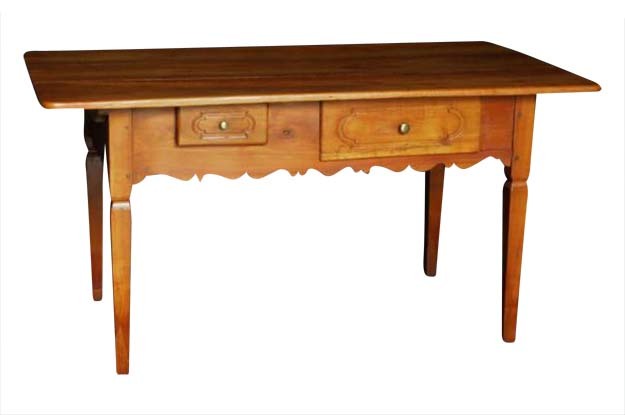 Italian 18th Century table - Chestnut, Beech and Oak from the mountains near Parma- H.H.